Are Baccarat Strategies the Real Deal? If you are planning on playing Baccarat, whether in a casino or just for fun at home, you will be wondering if there are really effective strategies to the game. 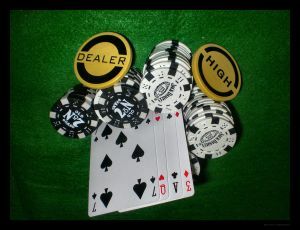 Many gamblers believe that reliably effective techniques just do not exist. For the most part they are correct. Baccarat is mostly a game chance and truly effective Baccarat strategies just do not exist. The easiest, and cheapest, way to learn the game is to play free Baccarat and learn the rules. The more that you know about the game the better your chances of success will be. Baccarat is a great casino game you can try out at any online casino. Before starting, please check some tips below. Here are a few tips to help you get a handle on the ins and outs of the game. One trick that casinos like to use is to give players a score card to allow them to track patterns and bet accordingly. Casinos know that players will see patterns in everything and usually change their betting pattern to match the patterns that they think they see. Baccarat is not Blackjack. In blackjack, because of its unique scoring system, there are patterns. While Baccarat uses two cards the scoring system is entirely different. Do not fall into this trap. Ask yourself why a casino would give you tools to help you win their money. Find a table that is using only one deck. In every deal, the House will always have the edge. The secret is to maximize your return and keep the houses edge as low as possible. If you can keep the house edge to about 1% for the banker bet this will get you the best return. Do not get tempted by the higher payouts offered by a "tie" bet. Tie bets look very attractive but they also give the house at least a 5% edge. If you are smart you will keep your chips at your side if you cannot make a player or banker bet. If you are playing for money and are not interested in having fun, always bet the banker and know when to walk away. While betting the banker is the safest way to bet, remember that no matter what you bet on the house always has an edge. Baccarat can be a fun game or money making game. It is seldom both at the same time. If you are just looking for a good time it is best to play free Baccarat and online Baccarat.